While our breasts may know exactly how to create the perfect food for our babes, they don’t come with an instruction manual for how to store and keep this amazing liquid in the event that we wish or need to express milk for our babies. Expressing milk for the times when we cannot be with our babies is a great way to ensure they receive the myriad benefits of breast milk (e.g. optimum nutrition and protection against diseases). While there are varying recommendations on how to store breast milk, this information is the product of a careful review of the best evidence available and is an appropriate guideline for storing milk to be consumed by healthy, full-term babies. Human milk is a fresh living substance, so it’s important to be contentious of hygiene when handling breast milk. Before hand expressing or pumping milk, it’s important to make sure your hands are washed and clean and all equipment used to gather the milk are clean and sterile. Breast pumps have instruction manuals and how-to videos are available on the internet to acquaint you with how to clean and care for your breast pump. 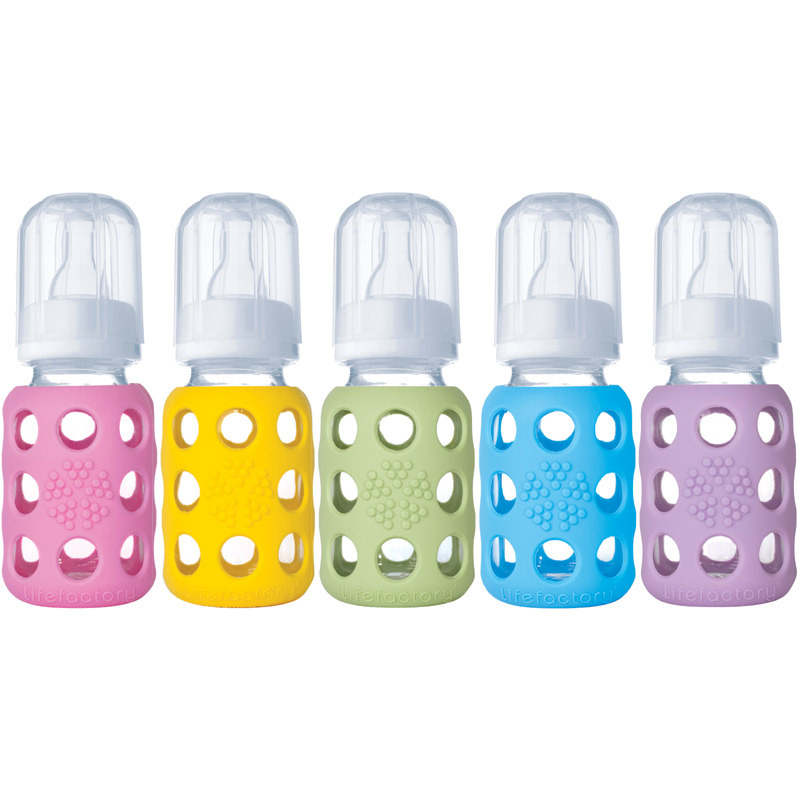 The best containers for human milk storage are made of glass or hard BPA-free plastic (food-grade polypropylene or polybutylene) with properly fitted tops or lids. Such containers should be washed with hot soapy water, rinsed thoroughly, and allowed to air dry before being used. Some containers can also be washed in the top rack of the dishwasher. If you plan to freeze in such containers, leave at least an inch of space at the top of the bottle since milk (and other liquids) expand upon freezing. Polyethylene bags (bottle liners) do not preserve the nutrients and immune properties of milk as well as glass or hard plastic. Using plastic bags expressly made to store breast milk can mitigate these effects to some degree. Whatever you use, make sure the container is well sealed. You may want to place baking soda in the frig to eliminate odors from other foods. Regardless of what container you use, it can be a good idea to only store 1 to 4 ounces of milk in each container. 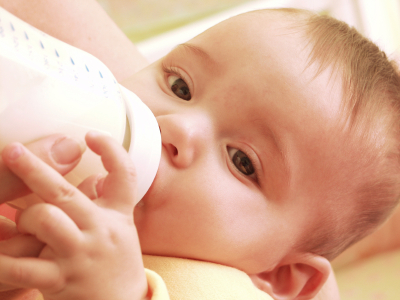 This is the amount you are likely to need to provide a single serving to your baby. This avoids waste and makes thawing easier. Be sure to label your milk with the date it was expressed. If you know where it is going (i.e. frig, freezer) you may also want to put a “use by” date on it, according to the guidelines below. If your baby will be drinking the milk in a day care setting, also label the milk with your baby’s name. You should use the oldest milk in your supply first, provided that it is still good according to your observation and the guidelines below. You can store milk at room temperature, in the refrigerator (does not need to be kept separate from other foods), in a freezer, or in a deep freezer. It is best not to store milk in a frig or freezer door or near an ice dispenser, and is best kept toward the back of the frig or freezer where the temps are more consistent. It is best to refrigerate or chill milk after its been expressed. When possible, refrigerated milk is preferred over frozen milk because some of the anti-infective properties of milk are lost when it is frozen. That said, frozen milk is still preferable to formula, as the former still has disease protective agents, other benefits and lacks some drawbacks associated with formula. Freezer to frig: Previously frozen milk that has been thawed can keep in the frig for 24 hours. Refreezing thawed milk: while some sources say that you can refreeze previously thawed milk within a few hours, this causes a further breakdown in the milk and a loss of antimicrobial activity. It is not currently considered an ideal practice. Keeping it cool: if you don’t have immediate access to a frig, it is best to store the milk in an insulated cooler with ice packs until you are able to refrigerate or freeze it (24 hours or less). Separation: Human milk naturally separates into a cream layer and a milk layer when stored; this is totally okay. Just gently swirl before serving! Slow defrost: Human milk should be thawed and gradually reheated, since high temperatures destroy important properties in the milk. Frozen to drinkable: The ideal way to prepare frozen milk for consumption is to place it in the frig overnight (for a total of 24 hours maximum) or thaw under cool running water (you can gradually increase the temperature). Milk should never be microwaved (it not only kills nutrients but it can cause hot spots milk that can burn baby). Milk should also not be heated directly in a pan, though you can gently heat water in a pan and place the container of milk inside (no boiling water). Frig to drinkable: warm the milk under warm running water if desired. Some babies will accept milk right from the frig. Soapy smell: some breast milk that has been stored smells soapy or may even taste soapy. This is believed to be the result of excess lipase (an enzyme) activity in the milk, which begins to break down the milk fat after its been expressed (Lipase has many beneficial properties). While this milk is safe to drink and some babies don’t mind it, some moms and babies are off-put by this change in taste and smell. If milk becomes sour or rancid tasting/smelling it may no longer be safe. If excess lipase activity is a problem, you can scald your milk after expressing to deactivate the enzyme. After expressing, heat the milk directly in a pan so that it bubbles around the edges of the pan but does not boil. Remove from heat, quickly cool, and store the milk (in the frig or freezer).